Your Data Governance Solutions are at SAP TechEd 2013 in Vegas! 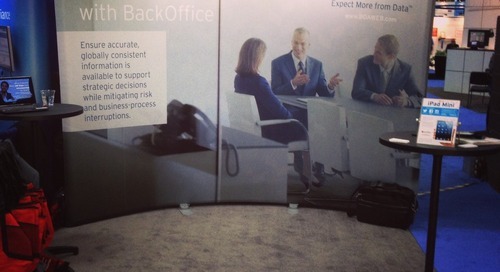 Home » BackOffice Blog » Your Data Governance Solutions are at SAP TechEd 2013 in Vegas! While the weather is cooling down for many of us, this is the week things really heat up in Las Vegas, where SAP TechEd 2013 takes center stage and the curtain goes up once again on the annual, premier technical education conference for SAP IT architects, administrators and developers. Thousands are converging on the city that never sleeps, as technology and Information Management professionals come together for a dynamic week to learn about the latest developments in Data Migration and Governance Solutions under the backdrop of hot button areas including in-memory, mobile and cloud technologies. BackOffice Associates, LLC is a Gold Sponsor of SAP TechEd 2013 and is very excited to be a big part of this year’s event, bringing our industry-leading expertise and best practices in Data Quality, Data Migration and Information Governance not only to our exhibitor Booth #105 but also center stage at the sessions. This year’s event will offer over 1,000 hours of training and best practice knowledge being shared with attendees, as many come looking for answers to help solve their most complex and strategic issues concerning Big Data and Information Governance. Rex Ahlstrom, Chief Strategy Officer at BackOffice will be leading an interactive session on Archival Strategies for Big Data and how we are partnering with customers to develop key innovations in this space. In another session John Danos, Vice President – Delivery Services Strategy, and Pedro Cardoso, Senior Consultant, will talk about how to execute best-in-class Data Migrations powered by the integration of dspMigrate Accelerator Pak with SAP Data Services. For a full listing of sessions visit SAP TechEd Online and also keep an eye on the Session Replays area as recorded sessions are posted for your viewing pleasure. The 2013 conference Guest Keynote speaker is Nate Silver, Founder of FiveThirtyEight.com and Author, The Signal and the Noise, who delivered a thought provoking and engaging narrative on the challenges around Big Data analytics, both the common pitfalls and key success strategies in separating “the Signal” from “the Noise”. In closing comments, Nate shared his perspective on how to best solve the most complex data issues and emphasized that it was the trifecta of “Great People, Great Methodology and Great Technology” that was essential to success. At BackOffice Associates, we’ve spent the last 17 years demonstrating our effectiveness and leadership in data-driven process analysis with hundreds of customers who have benefited from solutions that deliver these 3 Greats – People, Process & Technology Data Migration and Quality solutions. 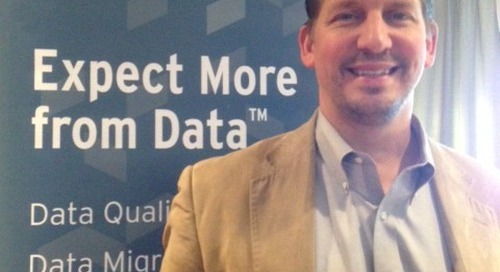 So stop by Booth #105 and talk to us – we’ve got solutions waiting for your biggest data problems.